The UAE Ministry of Climate Change and Environment’s (MoCCAE) newly launched plan to position the emirates as a leading global ecotourism destination ranks among the most ambitious of its kind initiated anywhere in the world. The National Ecotourism Project, which was unveiled this month by Dr. Thani bin Ahmed Al-Zeyoudi, Minister of Climate Change and Environment, aims to promote the UAE’s growing portfolio of eco-tourism attractions in three phases focusing on environmental, economic and social developments. The first stage involves a promotional campaign centred on the theme, ‘The UAE’s Natural Wonders’, which showcases the country’s 43 protected natural areas. Latter stages of the project will involve promoting sustainable tourism options covering eco-friendly flights, hotels, beaches and campsites across the UAE. 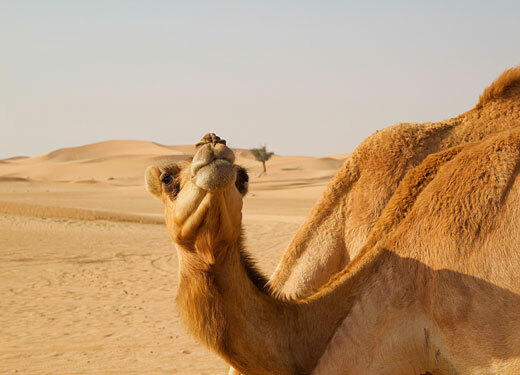 The UAE boasts one of the largest ratios of protected areas per land mass in the world. On average, protected natural areas listed by 130 countries worldwide constitute just five percent of the total surface of the earth. However, in the UAE, protected areas account for 14 percent of the entire country. One of the most significant new additions to the UAE’s protected areas is the Marmoom Reserve project, which is located on the outskirts of Dubai and covers more than 10 percent of the emirate’s total land area. The reserve provides shelter for a wide variety of endangered animals and birds, combining education, environmental awareness, tourism and leisure. The reserve is home to more than 204 species of native birds, 158 species of migratory birds, and more than 10km of lakes, encompassing the Al Qudra Lakes. It is home to 26 species of reptiles, nine mammal species, and 39 species of plants while providing a sanctuary for 19 species of endangered animals and birds. The reserve has the highest concentration of large flamingos in a desert region in the country, with up to 500 birds. The area is also location of the 3,000-year-old Saruq Al Hadid archaeological site. In addition, the reserve is an incubator for the largest plant nursery in the UAE, covering an area of 40 hectares. The nursery serves as a training and educational centre for school and university students, researchers and academics in the field. "Over the past few years, the pioneering vision and directives of the UAE leadership have enabled the country to consolidate its leading global status across diverse sectors, with travel and tourism at the forefront," Dr. Al-Zeyoudi said at the launch of the National Ecotourism Project in Dubai earlier this month. "The national ecotourism project is a result of the country's commitment to preserving the environment, a commitment instilled in its people by the UAE's founding father, the late Sheikh Zayed bin Sultan Al Nahyan," he added. Dr. Al-Zeyoudi explained that the MoCCAE was preparing to launch a dedicated website and app for tablets and smartphones, which would “raise awareness of the protected areas among residents and visitors and encourage travel agencies to include these sites in their promotional packages for the UAE”. “The portal and app will serve as an information and visual resource that UAE embassies across the globe and national airlines can use to introduce these attractions to the world," he added. As the UAE’s most popular destination among international visitors, Dubai will play a leading role in promoting ecotourism in the emirates. Dubai welcomed more than 15.8 million tourists in 2017 (+6.6 percent year on year) and is on track to welcome 20 million visitors in 2020, the year it hosts the world expo. Sustainability is a core component of Expo 2020, which will be staged at a dedicated, eco-friendly and carbon neutral site in Dubai South from October 2020 to April 2021.